The 2nd annual Lodge Cookout will again be held at Brother David Schleyer home on Saturday August 23rd at 1:00pm. We hope to see many of our brethren and their families there as we gather together, socialize, and have a good time. People are encouraged to bring something for the cookout, but it is not required. If you are planning to bring something either leave a comment here or contact Brother Brian Harrison directly. Again, we look forward to seeing you all on the 23rd at Dave's house as we begin to get back into our Masonic activities. If you have any questions you can post a comment here or contact Dave or Brian. Due to ongoing preparations for the 225th Anniversary of Grand Lodge on Saturday, RW Bianchi will not be able to hold the Masters Class this Thursday. We hope will you attend the 225th festivities in Portsmouth this Saturday. Thank you. Brothers David Schleyer and Brian Harrison would like to inform everyone that next weeks Thursday night study group (06/26/14) will be held outside as a cookout. Anyone who is planning to attend is encouraged to bring something, but it is not required. If you will be attending and are able to bring something, We ask that you add a quick comment to this post and just let everyone know what you plan to bring (see "add comment" link below). That way we don't end up with a dozen of the same things. For more information you can contact Dave or Brian. Also, the idea of suspending the Thursday Study Group in line with the Lodge's dark period is being considered, so this may be the last one for several weeks. It would be wonderful to see many of you attend and help make this a fun social event. On behalf of Brother David Schleyer, Brother Brian Harrison and all the Brethren of Thursday Nights Study Group, we would like to send out our heartfelt thank you to Brother Malcolm Wooff of Pulpit Rock Lodge #103 in Pelham. Brother Malcolm is the Grand Lodge's DEO of district #2, and just a vast wealth of Masonic knowledge. He was kind enough to attend our Study group last night (6/19/14) and lead us in a wonderful discussion on a variety of Masonic ideas. It was a magnificent evening that had us all engaged and surely expanded everyone's Masonic perspective that was able to attend. Again, Thank you Brother Malcolm Wooff for taking time out of your day and speaking to our group. We so do appreciate it. There will be a Special Communication of Grand Lodge at William Pitt Tavern on Saturday, June 28th. The Grand Master invites you to join him in the 225th Anniversary Celebration of the Grand Lodge of New Hampshire in Portsmouth, NH. For more information click on the file to view the flier . Anyone with addition information can leave a comment. The Following is a list of upcoming events and visitations for New Hampshire. While it is not mandatory, it is highly recommended that Brothers take advantage of these wonderful opportunities to further ones Masonic perspective. It should also be noted that Jewell Lodge, in Pembrook does not go dark for the summer and will be performing degrees this summer. Stated meeting is 3rd Monday of the month. For more information visit the Jewell Lodge Website. We invite you to help support Elm Grove Companies in its mission to raise financing for local charities in our community. Your tax deductible sponsorship will provide support to Girls Inc., The Way Home, The Manchester Masonic Foundation, The American Heart and Stroke Association, and Bikes for Books. We are anxiously looking forward to another successful event! By being a sponsor you will be promoting your company to a group of people who are very loyal to its sponsors, as well as to the many area professionals who will be participating at the Golf Tournament itself. For more information check out the Event Website. 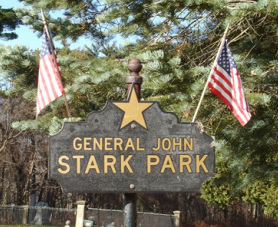 Junes Stated Dinner and Meeting will be held on Wednesday, June 18th. Dinner will be served at 6.30pm; Lodge opens at 7.30pm. Our dinner this month will feature another delicious meal crafted by our chef Br. Mark McCarthy and our Stewards. I hope to see many of our Brethren there as this is our opportunity to share a meal together while meeting new members of the Lodge, and candidates, and strengthening our Masonic bonds through brotherly love and fraternity. Our discussion this month will be another interesting and engaging discussion on the deeper meanings of our Craft. If you haven't been to a Washington Lodge Stated meeting recently, you may be pleasantly surprised! 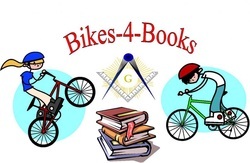 We have two Bikes for Books events coming up. Each year we have run this program to encourage reading in the Manchester school system. The positive impact we have through this program is truly a reward to all who participate and is the essence of charity and community engagement. If you are able to make it to either of these events it is truly worth it. The first event will be held at Hallsville Elementary School, 275 Jewett Street Manchester, NH on Friday June 6th from 2:00pm to 3:00pm. The second event will be held at Gossler Park Elementary School, 99 Sullivan Street, Manchester, NH on Monday June 9th from 1:30 to 2:30. Please join us for the culmination of all our hard work for the presentation of the bikes to these deserving young kids!